Every time I go out of town, I end up needing nail clippers or a nail file. 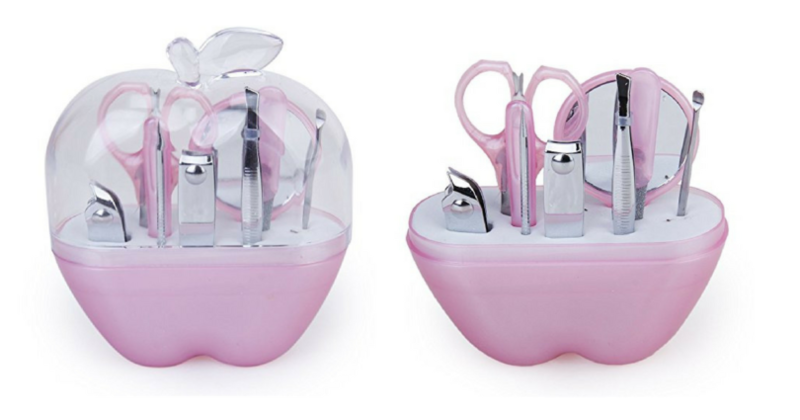 If the same thing happens to you, hurry on over to Amazon.com to grab this 9 Piece Travel Pink Manicure Set for just $3.64 shipped! You don’t even need Amazon Prime to get FREE shipping! WHOA! Disney Princess Dolls 70% Off at Target! Grab Suave Professionals 2-in-1 Shampoo and Conditioner for $0.64 at Target!